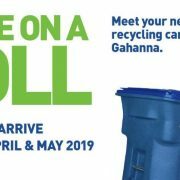 This spring Gahanna residents will receive an upgrade to their curbside recycling program. 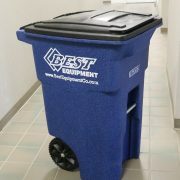 Beginning in late April, residents will receive newly wheeled, 64-gallon recycling carts, thanks in part to a grant from SWACO (Solid Waste Authority of Central Ohio) and a national nonprofit organization called The Recycling Partnership. The new recycling carts provide residents many advantages over the current bins. Besides the fact that they’re much easier to take to the curb, they have a lid, which reduces litter on windy days, and the larger size makes it easier for residents to recycle more material. Wheeled carts also allow for automated collection to improve the safety of collection workers and greater efficiency, both of which benefit communities as they seek competitive bids for lower-cost recycling and waste-hauling services. Before the carts arrive, Gahanna households will receive a postcard from SWACO notifying them that the new receptacles are on the way, tips on how to best utilize this tool and answers to frequently asked questions. Residents who currently use the red bins have the option to retain them. These bins can be repurposed and used to supplement recycling efforts in their home or garage. Once the new carts arrive, residents will have the option to leave their old bins at the curb for pick up during their scheduled recycle pick up day. As a reminder – be sure to leave the materials loose in your cart – do not bag your materials. Anything that is not on the list above should not be put in your recycling cart. 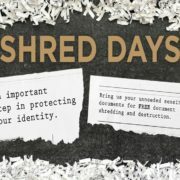 For more information about this new partnership visit SWACO at www.recycleright.org. 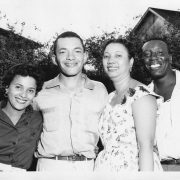 https://www.gahanna.gov/wp-content/uploads/2019/03/SWACO-header-e1552414585338.jpg 486 1000 Niel Jurist https://www.gahanna.gov/wp-content/uploads/2018/07/gahanna-header-logo-300x92.png Niel Jurist2019-03-12 14:20:322019-03-13 10:48:48New Recycling Carts Will Help Gahanna "Recycle Right"
March is the time to enroll your child in summer camp. 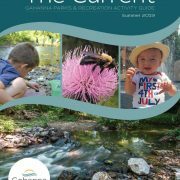 Child development professionals agree that camp experiences can be valuable in helping children to mature socially, emotionally, intellectually, morally and physical (American Camp Association). 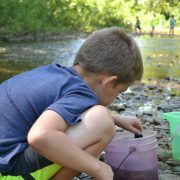 The City of Gahanna is pleased to offer high-quality camp opportunities for children of varying ages and interests. Camp Friendship Camping Company (CFCC) is Gahanna Parks & Recreation’s signature day camp program, offering sessions for children ages 5 – 12. CFCC programs are run by Parks & Recreation seasonal and year-round staff and are accredited by the American Camp Association. To become accredited, a program must be visited by a team of camp professionals and score highly on standards that pertain to site & food service, transportation, health & wellness, operational management, human resources and program design and activities. The City of Gahanna also coordinates a number of Special Interest Camps, in partnership with specialists in engineering, athletics and more! These programs are led by third-party contractors at city parks or other local facilities. Registration is accepted through Gahanna’s WebTrac registration system but dates, times, themes, locations and requirements/policies vary by program. With so many choices, it can be hard to know which opportunities are right for your family. Please click here to read the 2019 Camp Guide for more details or reach out to us at 614.342.4250 for help making selections or answers to your questions. March 1 marks the start of Ozone Season – a time when air pollution can reach unhealthy levels for sensitive groups of individuals. The Mid-Ohio Regional Planning Commission (MORPC) is part of a network of agencies across the country that issues daily air quality forecasts and notifies the public when these levels become a threat to public health. In 2019, for the first time, Air Quality Alerts from MORPC will also be available from the National Weather Service through its website, NOAA Weather Radio and on social media. Central Ohio typically experiences higher levels of ozone pollution during the warmer, summer months. Ground-level ozone is a gas produced when emissions from vehicles, lawn equipment, and industry combine in the presence of sunlight. MORPC also monitors particle pollution, a mixture of solids and liquid droplets in the air, from sources including car and truck exhaust, electrical power plants, and industrial facilities. MORPC uses the Air Quality Index (AQI) to inform the public about daily ozone and particle pollution levels in Central Ohio. The AQI scale runs from 0 to 300 — the higher the AQI value, the greater the health concern. When levels reach above 100, air quality is considered to be unhealthy for sensitive groups, which includes people with respiratory and heart disease, children and older adults. MORPC issues an Air Quality Alert to the public when pollution levels are forecasted to reach 101 or higher. People with asthma are more likely to suffer an increase in the number and severity of symptoms during an Air Quality Alert. Individuals who are active outdoors should be aware of respiratory or cardiovascular effects resulting from unhealthy air including coughing, shortness of breath and chest tightness. To decrease the potential for health problems, individuals in sensitive groups are urged to limit prolonged outdoor exertion. Exposure to air pollution can be reduced by saving strenuous outdoor activities for the morning or late evening when pollution levels are generally lower. Residents can help reduce emissions contributing to air pollution by carpooling, biking, walking and taking the bus. With MORPC’s Gohio Commute available at morpc.gohio.com, residents can explore the many commuting options available in Central Ohio. Other simple actions to take for air quality include avoiding idling your vehicle, refueling after dark, and avoiding the use of gas-powered lawn equipment on Air Quality Alert days. For Air Quality Alert notifications delivered straight to inbox or phone, residents can visit morpc.org/airquality. They can also call MORPC’s toll-free air quality hotline at 1-888-666-1009 for the latest forecast in planning their day to reduce exposure to air pollution. MORPC’s toll-free Air Quality hotline has English and Spanish language options to best serve the Central Ohio community. Residents can also visit the National Weather Service at weather.gov to find out about Air Quality Alerts. 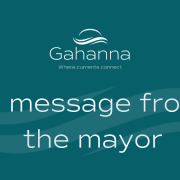 Providing information about air quality alerts to residents and businesses is part of the City of Gahanna’s commitment to being a sustainable community. Click here to learn more about the City of Gahanna’s participation in MORPC’s Sustainable 2050 initiative. 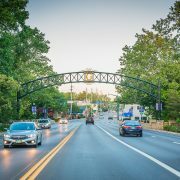 In 16 months, the city of Gahanna has seen four commercial developments after years of little or no major commercial construction. City officials say that’s because of a long-term plan to promote commercial real estate development. This week, a 262,500-square-foot speculative warehouse was announced is the largest new construction in Gahanna in 15 years. And the project – spearheaded by developer Fed One and property owner Value Recovery Group – will be the third largest structure in the city. In 2016, Gahanna created a 10-year plan to promote diverse real estate development in the city. The plan included adding 800,000 square feet of industrial space and 700 more housing units, especially new apartments and senior housing – something residents want, said Anthony Jones, the city’s director of planning and development. Part of that strategy involved a host of incentives formulated last year, including one for site preparation costs and another for assistance with annexation into Gahanna. Both are intended to ease the process for current landowners to redevelop their sites. About 55 percent of the city’s land is residential, and of that, about 88 percent of the residential land is single-family homes. Most of the apartment stock in the city is at least 20 years old, Jones said. “We need to have more options for this housing, and a plan will recognize what locations in the city are best suited to accommodate that,” he said. Kenny McDonald, president and CEO of Columbus 2020, said suburbs play a role in spurring real estate development, which has gained importance as the population swells.